Holy Cross is one of my favorite 14ers in terms of beauty. Seen here, the trail leads onward towards the summit that stands at 14,005 feet. 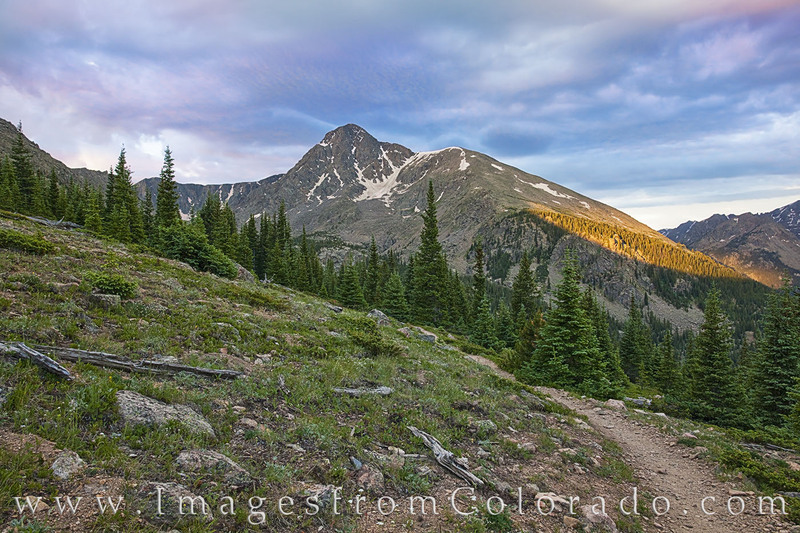 This beautful peak resides in Eagle County in the Sawatch Range. Photo © copyright by Rob Greebon.